Please visit one of our featured community parks and playgrounds. These facilities are open from dawn to dusk. For more park details click here. Amenities: Playground equipment and benches. Amenities: Playground equipment, basketball courts, multi-purpose field, pavilion, picnic tables, benches, restrooms* and concession stand**. Amenities: Playground equipment, picnic tables, and benches. Jeanette P. Chipman Boundless Park and Playground – 311 Broad Street, Salisbury, MD 21801. Amenities: Playground equipment (ADA), picnic tables, benches, gazebo, and community garden. Amenities: Playground equipment, picnic tables, benches, gazebo, and community garden. Salisbury City Park – Along Beaverdam Creek from Snow Hill Road to Memorial Plaza. City Park Map. Amenities: Playground equipment, tennis court, pavilion, picnic tables, benches, restrooms*, bandstand, walking trails, and fishing area. 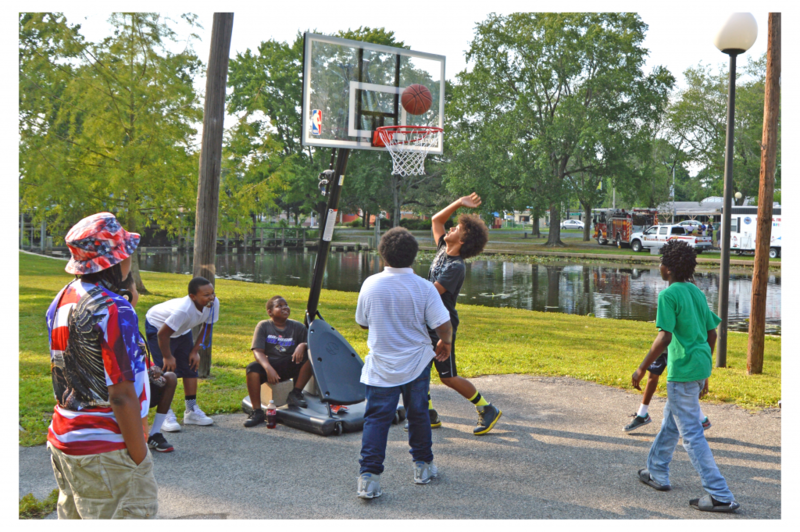 Amenities: Playground equipment, basketball court, picnic tables, benches, and community garden. *Restrooms are only open during scheduled programming and reservations. **Concession stands are not available for group rentals.